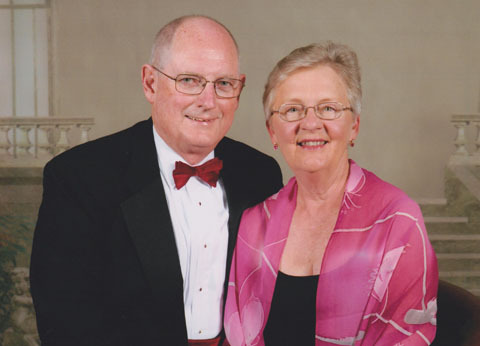 The Adkisson-Bourne Endowed Scholarship was recently established at Mennonite College of Nursing at Illinois State University by Bill Adkisson ’78 and his wife, Ellen Bourne ’71, M.S.E. 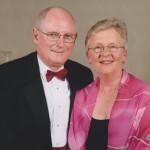 ’73, who are both proud graduates of Illinois State University and have enjoyed long and successful careers as consultants to the health care industry. Adkisson is especially interested in supporting the education of future nurses because of a personal experience. He contracted polio when he was just 2 years old. Over the next 18 years, he was a regular patient at Children’s Hospital in Denver, enduring countless operations, long hospital stays, and follow-up exams. Because his family lived in a small town far from Denver, and because his mother had other children to care for at home, he was often alone in the hospital for weeks at a time. During these stays he developed a bond with a very special nurse. She was just out of training when he was first admitted to the hospital, and she followed him throughout his childhood and teenage years. Even as her career progressed to administration, she still knew when he had an appointment scheduled and would make a point of stopping by his doctor’s office to keep in touch. Although he cannot remember her name, he will always feel grateful to this nurse for her loving care of a lonely little boy. The Adkisson’s have designated that their scholarship go to a nontraditional student in honor of Bourne’s cousins Myrna Tomblinson and Barbara Thomann. These ladies both returned to school to earn their RN degrees while in their 40s and enjoyed working as geriatric nurses in Southern Illinois. Their first scholarship recipient will be selected next spring, and the couple will have the opportunity to meet their recipient at the annual MCN Scholarship Banquet in September.